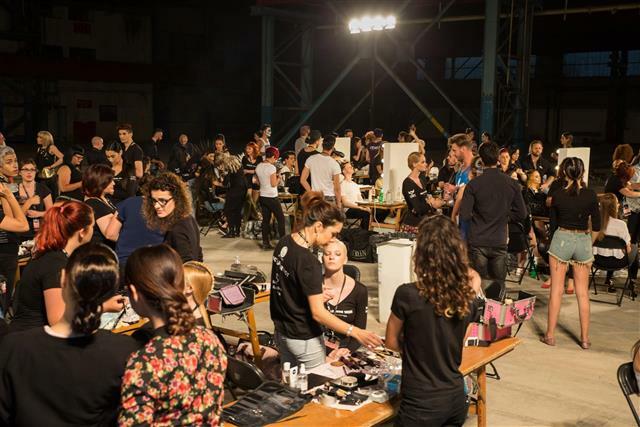 For the fourth consecutive year, the Italian brand of EVARGARDEN makeup was the exclusive makeup sponsor of Malta’s largest fashion event of the year - the Mercedes-Benz Fashion Week 2015. This year’s Fashion Week took off on Saturday 9th May and took place at several venues in Valletta and elsewhere, and culminated at the Chamilia Malta Fashion Awards, which were held for the first time at the Shipbuilding Warehouse in Marsa. Invites to all weekday shows were oversubscribed and the final night attracted over 5000 people to the prestigious party style event at Malta’s largest roofed space that was beautifully transformed for the occasion. Over 50 make-up artists including 18 make up students from the Biocare Academy worked back stage on these highly acclaimed events and delivered a wonderful notorious job according to the brief they were given. Well done Biocare Academy Make up Artists, you made us proud!